In love with Formula 1: Brazilian GP: Nico from pole to victory after a tight fight! Brazilian GP: Nico from pole to victory after a tight fight! Everyone expected to see a rain-hit race at Interlagos but against all odds the sun was shining in the blue skies when the cars stood on the grid ready for the race. Sutil in his Sauber had qualified 13th but due to some "technical changes" the Sauber pilot started to the race from the pit lane. Grosjean, Kvyat, Hulkenberg and Sutil were the only drivers who had chosen the prime tyres whilst all their rivals started to the race on the option tyres. There was no big drama at the start: Rosberg stayed in the lead with his team-mate Hamilton right at his tail. Massa maintained his 3rd place with his team-mate Bottas right behind the Brazilian. 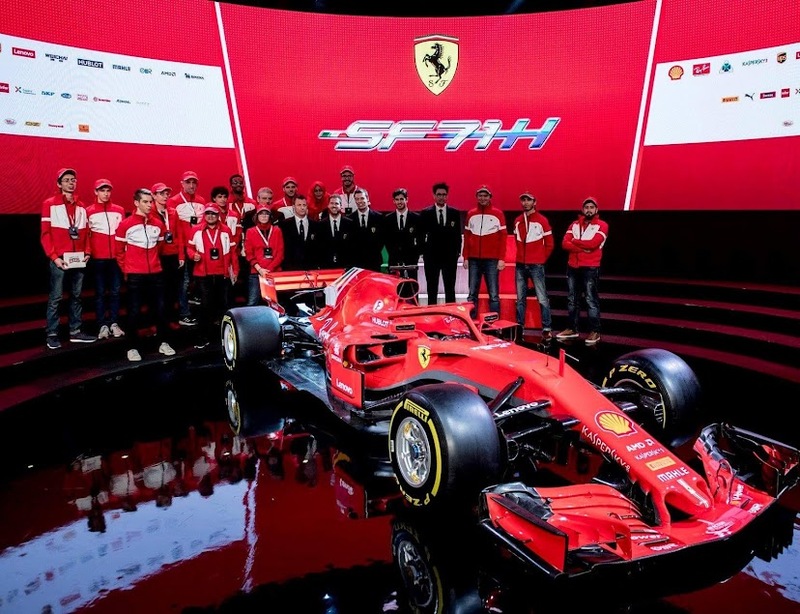 Both of my favorites suffered at the start: Kimi lost a position to Sauber´s Gutierrez and Sebastian dropped down two places as both McLaren´s Magnussen and Alonso in his Ferrari managed to get past the German. Already on the opening laps it was obvious that tyre degradation was going to be a huge issue as the track temperature was 50 degrees Celsius! Maldonado in his E22 and Massa in his FW36 were the first drivers to pit for a set of medium compound tyres already on lap 6. On lap 10 Hulkenberg in his Force India was leading the race with Toro Rosso´s Kvyat 2nd as neither one of them had pitted yet. Massa was handed a 5-second stop-and-go penalty due to speeding in the pit lane, which questioned his chances to keep his 3rd place in the race. Kvyat and Sutil came into the pits on lap 18 and the situation in the lead returned to normal. The race was very eventful in terms of the pit stops. Bottas had a catastrophic second pit stop: the Finn lost many valuable seconds as he apparently had problems with his safety belts and one of the mechanics had to fix the problem. At the same time Hamilton faced drama at turn 4: the Briton lost control of his car and went wide but managed to bring the car safely back to the track without hitting anything. Rosberg managed to increase his lead up to 7 seconds due to Hamilton´s spin. Force India´s Perez was also handed a 5-second stop-and-go for the same reason as Massa: speeding in the pit lane. Kimi had already jumped as high as P3 on lap 31 until the Iceman made his second pit stop five laps later. His pit stop didn´t go to plan, either! Kimi´s F14T was dropped down too early and his front right tyre hadn´t yet been attached. This cost Kimi dearly! Ricciardo had to face a bitter sweet disappointment as well as the Australian had to retire the race on lap 40. He had a brake disc failure and there might have been a suspension failure as well so Ricciardo had to limp to the pits and face the cruel situation: his race was over. On the second half of the race Bottas at the wheel of his FW36 faced more trouble. He failed to defend his position against both Hulkenberg and Räikkönen and when the Finn pitted for the third and final time the pit stop was delayed again by at least 5 seconds! That must have been utterly frustrating for Bottas, who has got used to podium finishes recently and now had to fight to score even one point. Also Bottas´ team-mate Massa had an eventful third and last pit stop: the Brazilian drove to McLaren´s pit box until he noticed his error and parked into his own pit box! That was quite a comic episode. After the final pit stops Rosberg was still in the lead but Hamilton was already within DRS zone. It seemed that Hamilton wasn´t going to let his team-mate win the race easily. With less than 20 laps to go Massa made an impressive overtaking move on Force India´s Hulkenberg and snatched P3 from the German. The Brazilian home crowd cheered loudly. Räikkönen and Hulkenberg both had a 2-stop strategy whilst all the other top drivers pitted three times. With 10 laps to go Kimi had no chance to hold back Button, who had much fresher tyres than the Iceman. Also Sebastian managed to get past his next year´s team-mate at the same time. So there´s only one race left and the championship fght will go down to a wire in a fortnight. In two weeks´ time we´ll know who is going to be the world champion 2014!